You’ve bought a brand new yacht, and you want to take it on its maiden voyage. What better way to celebrate than to host a boat party? Spend time in the sun and on the water, relaxing with a few friends and some good food. If you’ve never hosted a boat party before, you may not know where to begin. In this blog, we’ll go through four essential steps to plan the perfect boat party. First, you need to decide where you’re going to have the party. Is there a nearby lake that would be ideal? Or do you want to hold your event on the open ocean? If you can stay local, your guests will thank you. 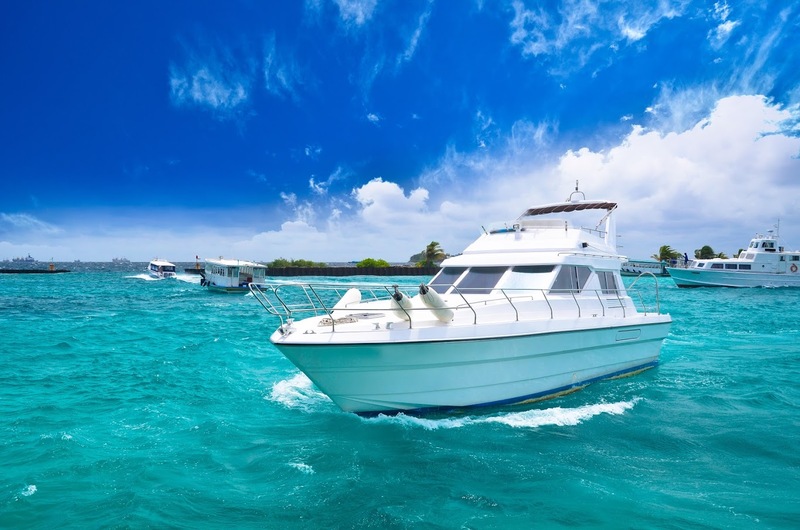 If you can’t stay local, think about chartering your guests to the location so everyone arrives on time and no one gets lost or misses the boat. In addition to considering your guests’ needs, think about what you’ll need to do to get your yacht to the dock and final location. If you need to tow your yacht to the water, prepare your towing vehicle for the trip and plan ahead for driving time. As you plan your party, keep the capacity of your boat in mind. How many people can fit comfortably? Do you have space for activities you might be interested in, such as water skiing or dancing? Where will you keep and serve refreshments? Will you be piloting the boat the entire time? Answering these questions can help you create a more concrete plan for your party. For example, if your boat fits fewer than 10 people, you may enjoy a guest list made up of primarily close friends and family members. Put this plan together as early as possible. Even if you intend to send out your invitations electronically, you still need time to collect everything you need, make any necessary reservations, and so on. Nailing down the details in advance will make the rest of the planning process simpler. Often what makes a party is the food you get to enjoy there. Keep your menu simple and low-mess so that everyone stays safe. Remember, being out in the sun, especially on saltwater, encourages hunger and dehydration so you’ll want to supply lots of cool treats and fresh water. Once you know how many guests are coming, put together a detailed menu. If you need on-deck cooking or serving help, you may want to hire a caterer or wait staff for the evening. Because you just bought your yacht, it shouldn’t need much in the way of maintenance, but you still want to double check everything is in good shape. Schedule a trip to your mechanic for a routine check of all boat components, such as the sails, propellers, and engine. Plan to purchase boat fuel before leaving the dock or marina to avoid being stranded in open water. You may also want to take the time to clean your deck and cabins, put up any decorations, and make the space as comfortable as your guests as possible. The setup on your boat should encourage the party to evolve naturally. If you plan for dancing, be sure you have a clear dancefloor, and if you plan a full meal, create easy kitchen access and a welcoming dining area for your guests. Additionally, be sure to stock your first aid kit and pack outing essentials like life jackets. The two most important things to remember in order to have a successful boat party are to stay safe and have fun. Be prepared for questions about when the next party will be, as your guests are sure to have a blast. If you’re still looking for the perfect boat to host your party, contact Petzold’s Marine Center for a wide selection.